Whether you own the cup or are inspired by those who do, MARQ™ Captain shows your passion for life at sea. It is the luxury modern tool watch with advanced nautical and smart features that one simply won’t find in a traditional timepiece. 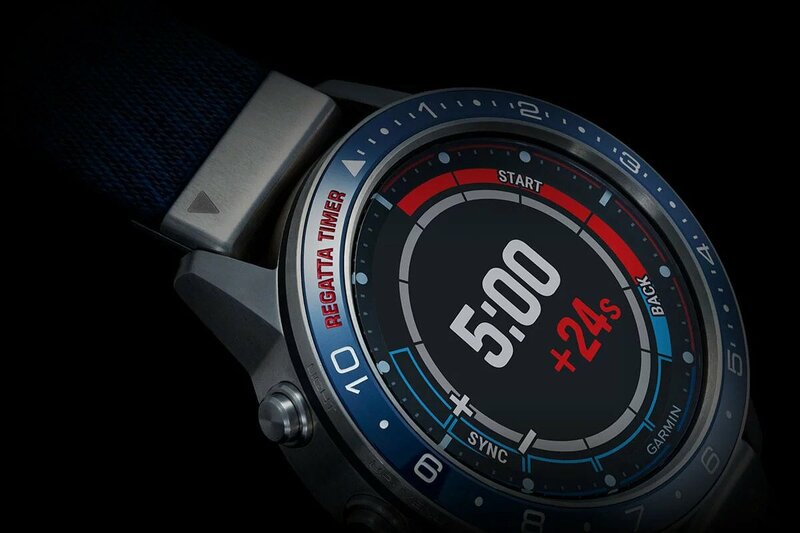 A revolutionary regatta timer enhanced with GPS technology pinpoints the start like never before. Tack assist1 and a man overboard button are designed for those who live life at the helm. And exquisite nautical details, such as a navy ceramic bezel and jacquard-weave strap made by artisans in the south of France, place you oceans ahead of your nearest competition. For the master tactician who delivers exceptional performance in any condition, there is no better fit. 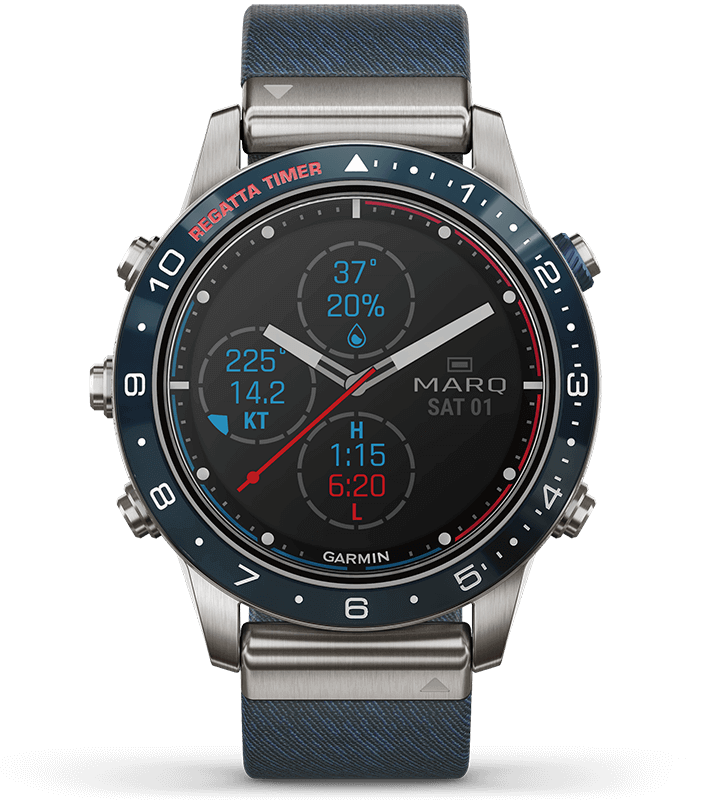 Surrounded by a rich nautical blue color scheme, the watch face on MARQ Captain displays the current weather conditions. Wind speed, as well as temperature and tide information, can help you decide at a glance if conditions are right for a day on the water. 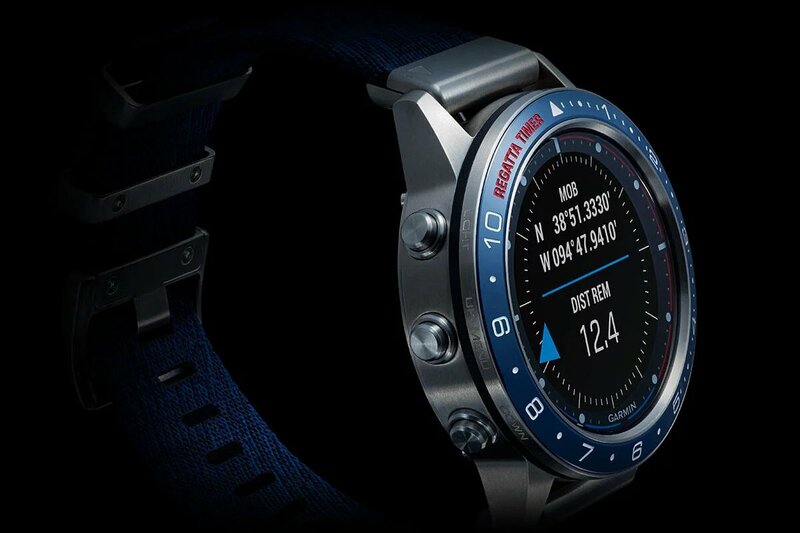 The ceramic bezel features a regatta timer that adds GPS technology to make precision starts virtually automatic. It is the first of its kind, giving skippers the ability to hit the starting line at the exact moment and in the ideal position. Hone your tactics on course with unprecedented insight on conditions. Tack assist shows you wind shifts at your wrist, so you know for certain if you’re getting headed or lifted, and you can optimise your course and sail trim for maximum speed. Blow away your rivals — and cruise to victory. 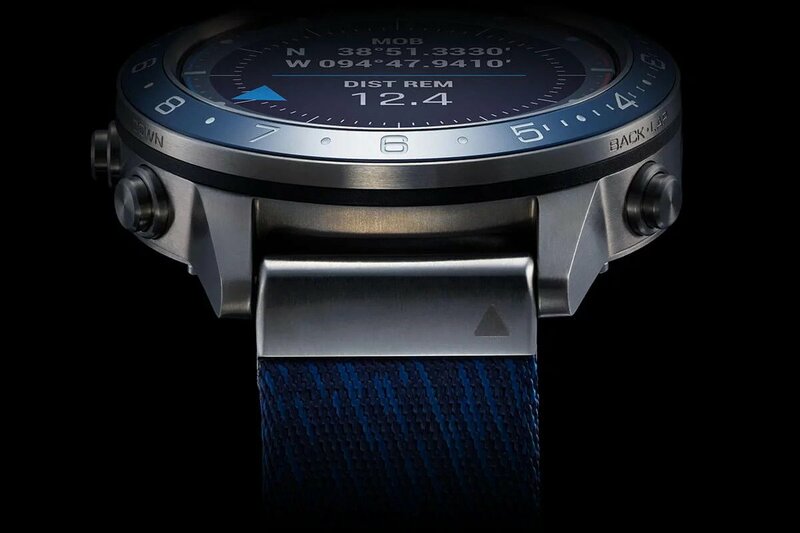 The exquisite brushed titanium case with 46 mm polished-navy ceramic bezel is bound securely to your wrist with a unique tricolor jacquard-weave nylon strap. Chosen for its remarkable looks and impeccable water resistance, it’s finished with seamless edges. Flush-mounted hardware and keepers give you comfort and style, onboard and on land. All-day stress monitoring2. Emails, texts and alerts3. Music storage and streaming services such as Spotify®4. MARQ Captain is even equipped with Garmin Pay™ contactless payments5 so you can make purchases by simply waving your wrist. It is yet another opportunity to show your passion for sailing — while enjoying the modern conveniences of the latest connected features.